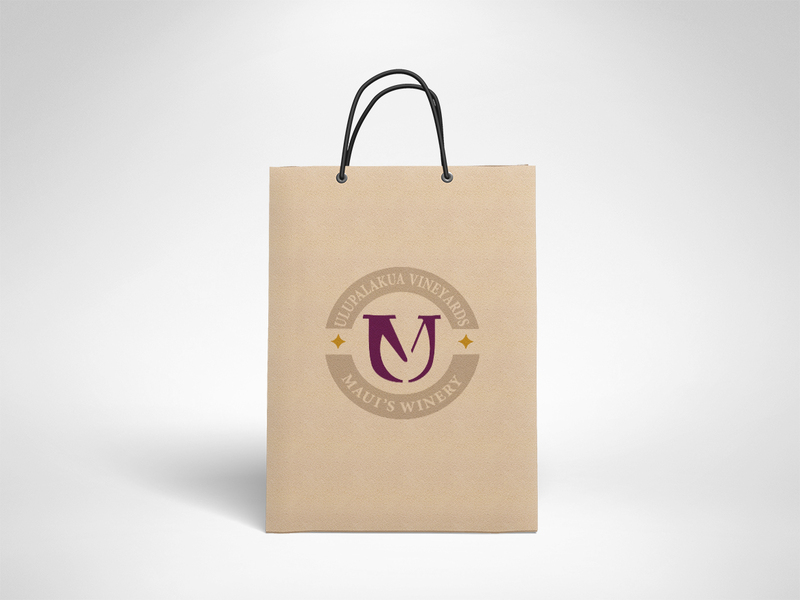 After we had created the logo mark for the Estate Wines it almost immediately became clear how well it will work on merchandise. Can you spot the letters “U V” (stands for Ulupalakua Vineyards) in the logo mark? And how about the wineglass?